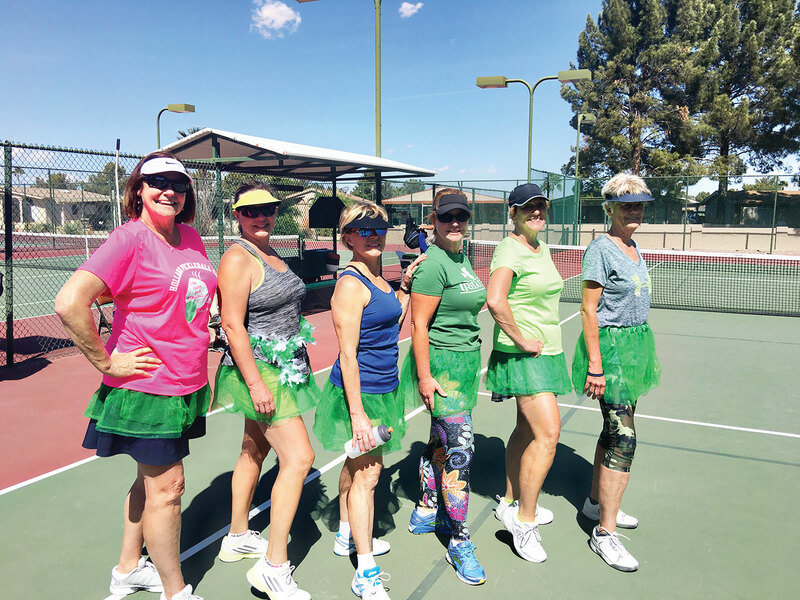 The SunBird Pickleball Club had a fun end of season event and party. The group started open play at 8:00 a.m.
A game of round robin was played for an hour and a half, and then the team adjourned to the Horizon Room to enjoy a delicious lunch catered by Julie Mathis and her lovely crew of waiters and waitresses. The food was delicious, prizes were handed out, great conversations and end of the season CELEBRATION. Tutus were abound! The Pickleball Club will begin summer hours on May 2 with a Wednesday night session from 7:00-9:00 p.m. The hours in the summer are Wednesdays 7:00-9:00 p.m., Monday and Friday morning 6:30-9:30 a.m., every other Saturday night starting on May 5 at 7:00 p.m. These hours will be posted on the gates at the SunBird Sports Complex. 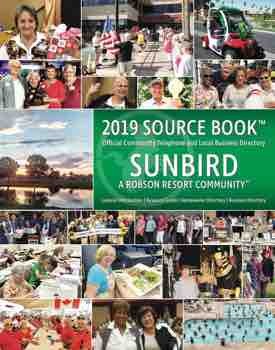 We wish all our snowbirds safe travels when returning to your cooler climate and have a wonderful summer! Questions? Issues? Need more information?? call Dan and Marianna at 480-285-4501.